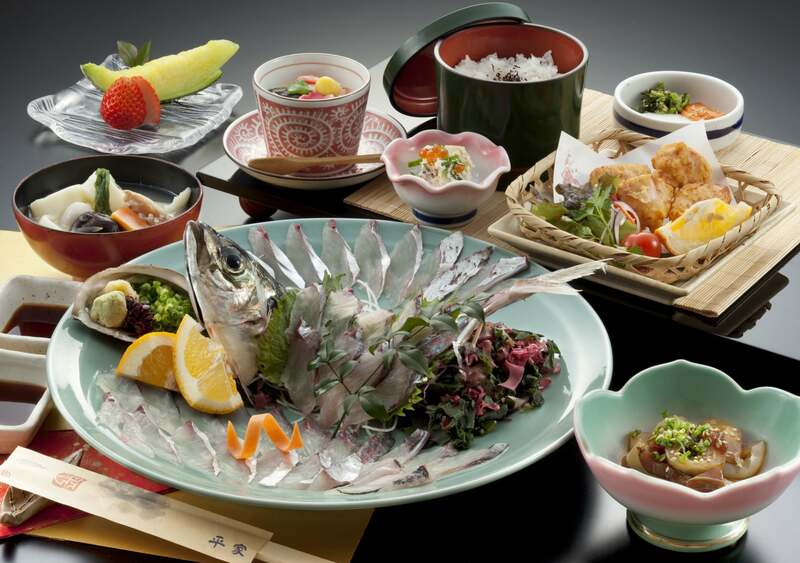 Special set menu｜Ikesu Kappo Heike provides Japanese cuisine，which mainly use fresh fish caught around Oita and seasonal ingredients. We devotes all our energy to showing guests hospitality. Please enjoy our fresh sashimi. Side dish, Ikizukuri of Seki hourse mackerel, Blue crab miso soup, Japanese steamed egg custard, Rice, Pickles, Dessert. Side dish, Ikizukuri of Seki mackerel, Blue crab miso soup, Japanese steamed egg custard, Rice, Pickles, Dessert. 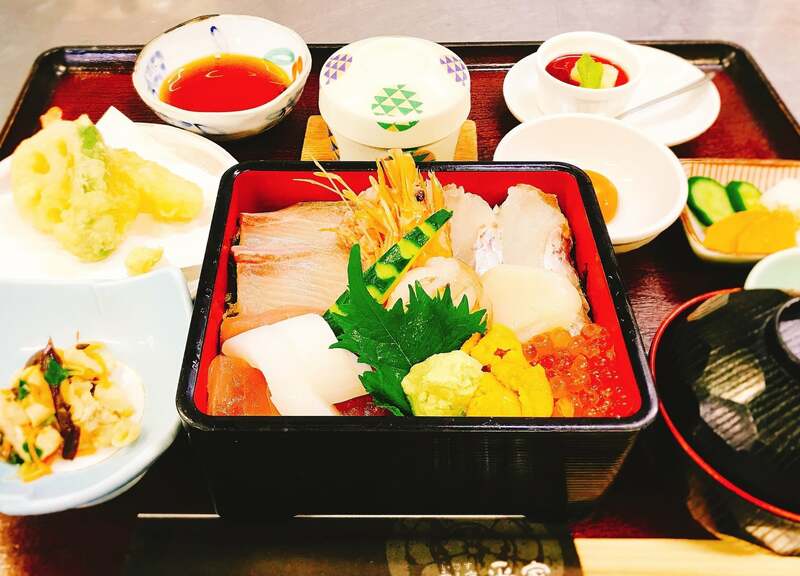 Side dish, Sashimi, Simmered fish, Steamed seafood and vegetables, Japanese steamed egg custard, Red miso-soup, Rice, Pickles, Dessert. Shrimp, Scallops, Blue crab, Squid, Vegetable, Sashimi, Japanese steamed egg custard, Rice, Soup, Rice, Pickles, Dessert.